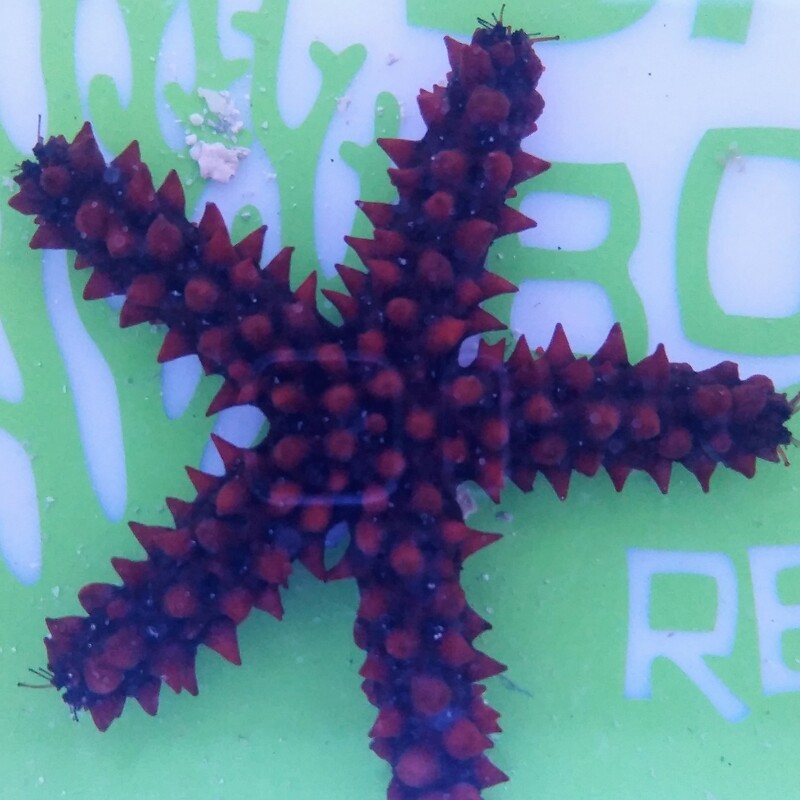 Notes: The Red Thorny Sea Star requires a large aquarium with ample supplies of live rock. 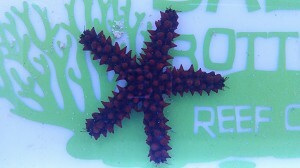 A small specimen will eat algae. As it grows older, however, it is not reef compatible, as it will eat soft corals, sponges, tubeworms, clams, starfish, and other invertebrates. It should not be housed with puffers. This little guy is awesome! About 2 inches but so pretty.